The incidence of pet cancer appears to be increasing, especially in the dog population, and is now one of the leading causes of death for companion animals. Almost half the animals over 10 years of age will die of cancer. At Old Dominion Animal Hospital in Charlottesville, we have increased our capabilities to diagnose pet cancer and increased the ability of our veterinarians to treat it. More and more pet owners are electing to treat their pet’s cancer, and we are happy to help you with the decision to treat, and the treatment, should you choose to follow it. An abnormal swelling that continues to grow. Bleeding from the nose or mouth. Reluctance to exercise or loss of stamina. If your pet has been diagnosed with cancer, you should know that cancer is a disease caused by the growth of abnormal cells in the body. There are many forms of cancer – some spread throughout the body, and others remain localized. Your veterinarian at Old Dominion Animal Hospital in Charlottesville will need to determine the type and extent of the cancer in your pet. It is important to gather as much information as possible to make a prognosis and pet cancer treatment plan. Tests may include blood counts and profiles, urinalysis, radiographs, and a biopsy of the tumor. Pet cancer is hard to diagnose and hard to treat, but much progress has been made. There are several types of therapy used to treat cancer in your pet. Surgery, veterinary chemotherapy, and radiation therapy are most common. Often treatments may be a combination of several therapies. It can be a long and difficult period when treating your pet for cancer, with treatments that require multiple trips to our Charlottesville animal hospital. It can also be expensive. It is a team effort, and we must undertake the treatment together. You may need to be available to give your pet medications and treatments at home. Remember that at Old Dominion Animal Hospital, our veterinary staff is concerned with your pet’s health and quality of life too, and you don’t have to make these difficult decisions on your own. We are here to help. Pet cancer does not have to be a death sentence – we can all work together to give your pet the best life possible for as long as possible. Surgery is the most common form of pet cancer therapy. Surgery may be exploratory so that your veterinarian can evaluate the extent of the tumor. This may involve taking samples of tumor tissue, it may mean removing the whole tumor, or it may be an attempt to remove as much of the tumor as possible. Tissue or cancer cells, once removed by surgery, are usually submitted from our Charlottesville animal hospital for a biopsy to determine a diagnosis. The best possible result with surgery is the removal of the entire tumor, allowing your pet a better chance for recovery, but some cancers may be too large or involve organs, making removal impossible. In that case, after surgery, treatment with radiation or veterinary chemotherapy are often necessary. When other forms of veterinary cancer treatment are needed, chemotherapy drugs are often used. This method of treatment is a good option when the cancer has spread to multiple sites in your pet’s body and the tumors cannot be removed surgically. Veterinary chemotherapy is used to slow down the growth of cancer cells and may shrink large tumors. Veterinary chemotherapy drugs work by attacking cells during their growth process. Unfortunately, the drugs may react similarly to cancer cells and other cells in your pet’s body. Your pet may have some side effects from the treatment, but most normal cells will continue to grow and repair themselves. 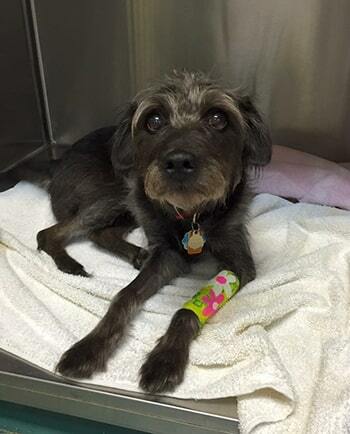 Pets experience fewer and less severe side effects from veterinary chemotherapy than humans. The doses of medication used to treat pets are smaller and are not usually part of such a large combination of drugs at one time. If your pet is treated with drugs that may produce side effects, we will prescribe medications to help ease your pet’s symptoms from our Charlottesville veterinary hospital pharmacy. Most pets recover from treatment within several days. The length of treatment with veterinary chemotherapy for your pet will vary according to the type and extent of cancer. Treatment of your pet’s cancer with radiation requires referral to a specialty veterinary clinic or a College of Veterinary Medicine Hospital. Veterinary radiation may prove to be the most effective form of treatment for your pet’s type of cancer, or may be used in addition to surgery or veterinary chemotherapy. At Old Dominion Animal Hospital, our veterinarians are happy to provide you with information and veterinary referrals to particular animal hospitals, depending on the type and severity of your pet’s disease. 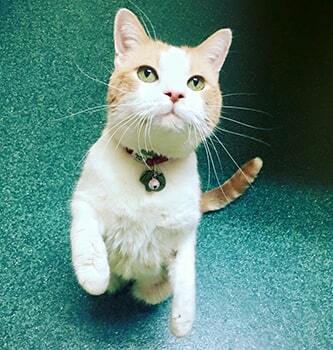 The decision to pursue other treatments can be difficult, and you need to consider factors like your pet’s medical condition, practical concerns including repeat visits and the stress to your pet, as well as any financial issues. We will gladly discuss all your options with you to help you reach the right solution for you and your pet.